Here at Jade Kitchen’s our aim is to turn your ‘some day…’ into ‘today’, we are a qualified team dedicated to using our expertise in order to create your dream kitchen. Professionalism, accuracy and quality are guarantees you can expect with any job we do, big or small. We pride ourselves on our attention to detail and are big on communication, we take the time to answer any and all questions you have about your dream kitchen, we want you to be confident with our work and we always aim to have it done right the first time. 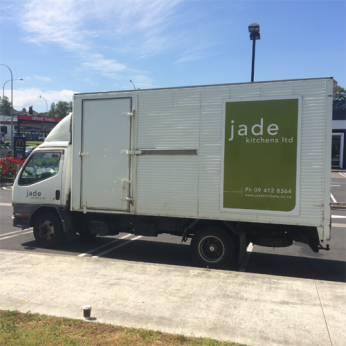 Jade Kitchens Ltd was established in 2000 and was a family owned company until Adam, who has been in the industry for over 25 years, took over as owner and Director in 2004. Since then Jade Kitchens Ltd has become a leader in the industry with hundreds of satisfied customers. If this isn’t enough proof to show we are the right ones for the job, come see us or we can come see you! Let us prove what it is to be the top in our trade.